1/25/2014 5 pt major! WD/BOW/BOB at Grayslake Show 12-18 class over specials! 2/8/14 WD/BOW at Indy Classic for 4th major & AKC Championship! 3/15/14 Select Dog at Evansville Kennel Club Show for 5 grand champion pts. 3/16/14 Select Dog at Louisville Kennel Club Show for 5 grand champion pts. 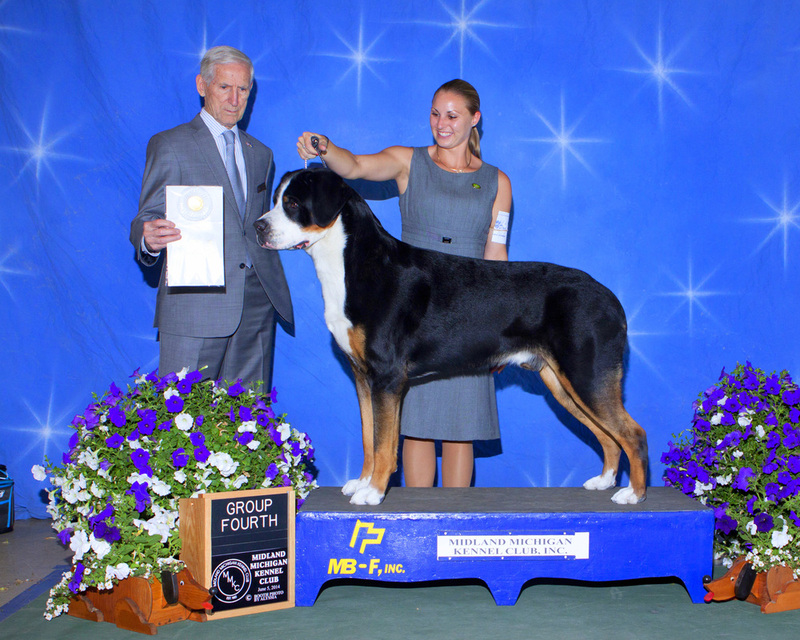 7/17-20/14 Select Dog Hoosier Tire Cluster South Bend, IN new Grand Champion title!